This trend has been building pace over the last 3 years or so, since AI has shifted from being a mere sci-fi abstraction to a genuine day-to-day technological advancement. It is of course true, we are seeing AI and ML implemented more and more in our daily lives, especially in the context of digital platforms that, have pervaded the forum of recruitment and people solutions generally. Forgive me for any perceived complacency, but I don’t feel the career recruiters among us need fear this advancing tide, as I pointed out to my well-intentioned friend, who recently pinged me an article along these lines on Whatsapp, which actually prompted me to write this blog! It absolutely goes without saying that in the recruitment sector, we must embrace new technology. Over the years we have seen new inevitable forces influence and, dare I say, disrupt the sector, whether we are talking about more powerful CRM platforms, the role of social media and intuitive search tools. It goes without saying that the most successful recruitment firms will have embraced these technologies as part of their ‘modus operandi’ and will be poised for the next technological tide that supports their business model, and will be willing to invest and drive culture change accordingly. That said, I get rather cynical when a new technology claims to ‘replace’ what is absolutely fundamentally a human process. Recruitment is and will always be, at its heart, about connections with people. As long as human beings have a cerebral cortex along the lines we do today, this will always be the case. The process of switching jobs is not transactional. It’s just about the most intimate process we go through, aside from managing our personal relationships, perhaps. A job is not just a job – for many it’s a representation of that individual and all their hopes and aspirations. A representation of the sacrifice that person may have needed to go through to secure university degrees or climb the greasy pole in challenging work settings. As a recruitment consultant, we need to understand these factors and the candidate’s sense of identity and pride that these create. As any seasoned professional will tell you, this can be very complicated and challenging indeed; it is simply the nature of the role if it’s done properly. When a recruitment consultant is meeting such a candidate face to face and evaluating fit for a role, he or she will be need to manage, with due respect, this ball of human emotion, about to make one of the biggest decisions in their life, at that point in time. Following this, there is the matter of the recruitment process itself. Every so often, I like to take stock as to how many pieces of interaction it takes, typically, to successfully place a candidate, considering the full recruitment life cycle. This includes everything from evaluating culture and technical fit, as well as commitment levels, (yes humans do lie from time to time! ); to setting up interviews and dealing with the inevitable cancellations along the way across (sometimes) 5 stages, to managing expectations across the negotiation process, to ensuring they are able to leave their current employer without a glitch and, ultimately, start for the new employer. I would say a standard process will take at least 2 face-to-face interactions and 20 phone conversations plus a corresponding volume of email or messaging updates and this can become much more complicated if dealing with situations like international re-locators. This level of required engagement is very often overlooked. There is also, the added complications coming from the employer side, including their changing budget situations and hiring tides which can shift at the last minute; you just never know when that hiring freeze is coming or how to read exactly what the client means by ‘culture fit’. In short, clients do not come with an instruction manual themselves and it takes time to fully understand this and form a partnership that leads to better matches. Without wishing to attempt to describe to readers all of the risks and pitfalls of recruitment, the hiring process is loaded with challenges by its very nature and good recruiters will always aim to rationalise and make it easier from both sides. 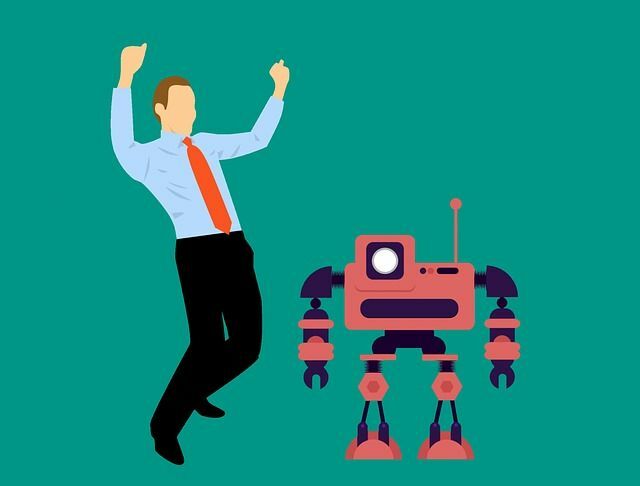 Humans, much like the AI tools referred to, are also capable of instinctive, 'outside the box' candidate matches and will always be able to trump the machines in certain cases where the recruiter has an intimate long-term understanding of client needs. So to pull this all together, I am fully on board with the notion of AI complimenting the recruitment sector with new discoveries and associated tools. In my view, we should promote and embrace the idea that such tools can accelerate the process of candidate discovery. That said, we must work as an industry to advise those attempting to disrupt us, the true nature of what it is that we do and why it is unlikely the innately human factors can be replaced. As such, we may then be able to create a more beneficial outcome for candidates on the job market, in which recruiters and employers are more able to work in a complimentary, efficient manner, thanks to advancing technology, without taking the human factor away. After all, if you were in the job market, would you prefer to talk to a ‘chat box’ about your current frustrations with your boss and potentially the biggest career decision you’ve ever made, or with a friendly, well-informed and professional recruiter you’ve known and worked with for years, over a coffee? My analogy of the day - Running a recruitment firm is like running a restaurant!